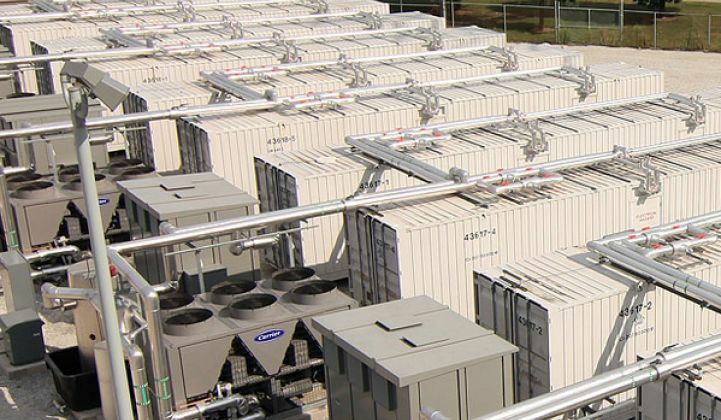 AES Energy Storage wants to make batteries a plug-and-play part of the grid, and it’s adding new suppliers and new partners to get there -- including lithium-ion battery maker Samsung. Back in July, the subsidiary of AES Corp. started building its first grid storage project in mainland Europe, a 10-megawatt system in the Netherlands. It’s one of the first three projects being built using the company’s Advancion 4 architecture, the latest iteration of its integrated energy storage offering that combines pretested batteries, power electronics and software. Battery vendor LG Chem and inverter maker Parker Hannifin are AES’ first two announced Advancion partners. That fact, plus a December announcement of a massive supply agreement with the South Korean lithium-ion battery maker, led many in the industry to presume that the Netherlands project was using LG Chem batteries. But in fact, the Netherlands project is using Samsung, AES Energy Storage President John Zahurancik said in an interview earlier this month. In the past month, AES has also brought in new partners Mitsubishi and Eaton to expand its Advancion business to new markets, in Asia and Oceania and in Europe, Africa and the Middle East, respectively. It’s all part of a broader push to lower the cost and complexity of energy storage deployments and bring more flexibility to how they’re put to play, he said. “These are things we’ve been working on for a few years, getting to that level of interchangeability and diversity of suppliers, and not having to custom integrate storage solutions every time you do an installation,” he said. Bringing in multiple battery vendors is only part of the puzzle, he added. Some of the latest changes in the Advancion 4 architecture are also aimed at reducing balance-of-systems costs -- something that GTM Research has predicted will be an important part of overall grid battery system cost reductions over the coming years. All of this is important for giving these new battery systems flexibility to perform a broader variety of tasks, he said. The vast majority of AES’ energy storage systems in North America have been deployed to provide frequency regulation for mid-Atlantic grid operator PJM, for example. “I don’t think storage is going to be confined to ancillary services,” he said -- a point that GTM Research Senior VP Shayle Kann highlighted at our Energy Storage Summit event in December. Broader markets for providing capacity value to the grid will require longer-duration storage. Batteries built to defer grid infrastructure investments will need to come in smaller and more discrete packages.